William Gibbs’s son Antony did not take over the family business as expected. The story went that William would not allow it, after he observed that the boy could not add four columns of figures simultaneously (I wonder how many of us would pass that test?) I doubt Antony was disappointed. 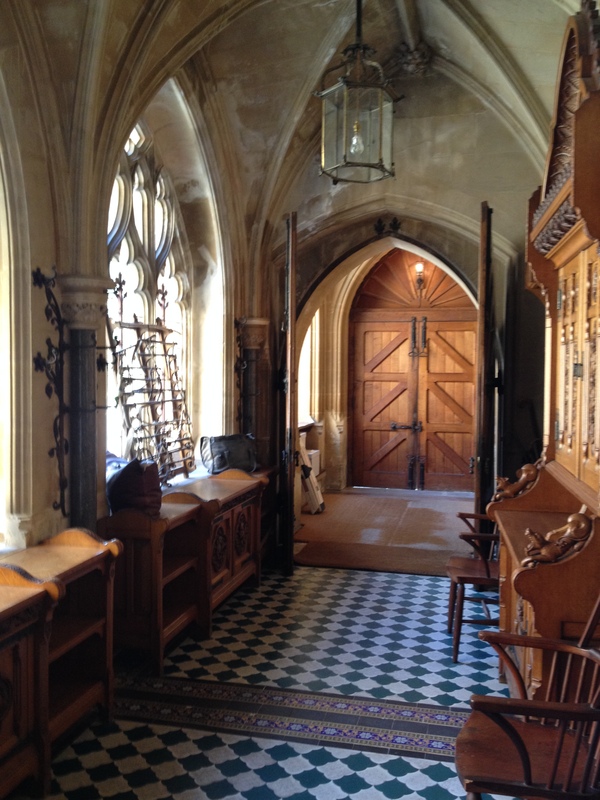 He managed the Tyntesfield estates and charities, became an accomplished carver of ivory, and puttered with inventions such as a bicycle which supposedly stored energy going downhill and used it when going uphill. It didn’t work, though. Instead, William’s nephew Henry Hucks Gibbs took over the company. Henry was elevated to the peerage, becoming Baron Aldenham in 1896. (What exactly is the peerage, anyway? A subject for another post). Henry also became Governor of the Bank of England, earning him the popular jingle which forever followed the Gibbs family: “Mr. Gibbs made his dibs, Selling the turds of foreign birds.” Not very elegant, but it certainly told the story. And he must have laughed all the way to the bank. The little ditty no doubt followed George Abraham Gibbs, a war hero who moved in higher social circles than his humbler ancestors. George became 1st Lord Wraxall and Treasurer of the Royal Household–an example of the new commercial and industrial wealth overtaking older titled families. The 2nd Lord Wraxall, known as Richard, inherited the title at the age of 3. His mother, Ursula, Lady Wraxall, presided at Tyntesfield until she died in 1979. She received an OBE for her services to the war effort. During World War II, the house became a medical distribution center, with the books in the library replaced by bandages. It was also a convalescent home for American soldiers, who stage reunions there to this day. When he came of age, the 2nd Lord Wraxall (Richard) served with the Coldstream Guards, then took over management of the estate. He maintained the house and grounds as they were, not following the lead of so many great homes in getting rid of Victorian furniture and features as they became unfashionable. He never married, and ended up living alone in the house with most of the rooms closed. 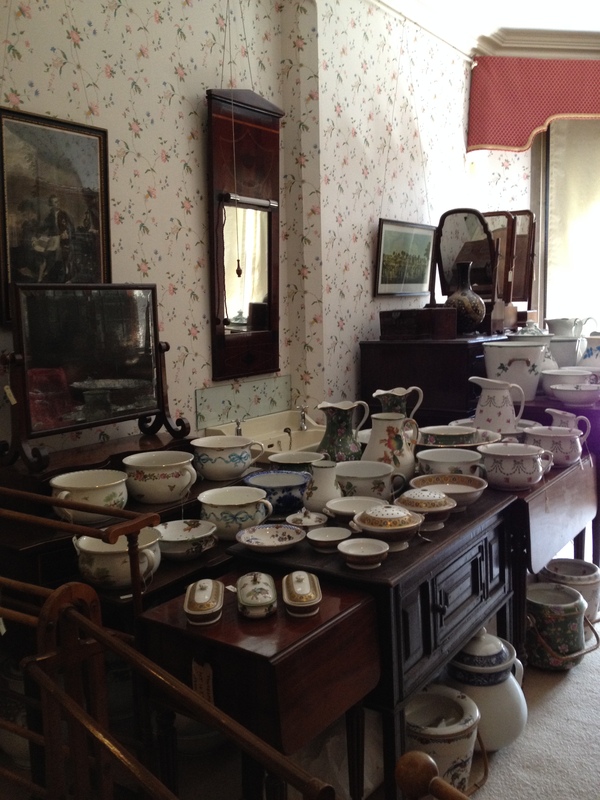 When he died unexpectedly in 2001, the place was a treasure trove of Victorian items from the past 150 years. Join me next time when I consider the very challenging acquisition of the house by the National Trust. It’s one of the chapters in the fascinating story of the history and art of the British Isles. This entry was posted in Art, British Isles, Castles and Palaces, England, Historic Homes, Historical Figures, History and tagged 1st Lord Wraxall, 2nd Lord Wraxall, Antony Gibbs, Bank of England, British Peerage, Coldstream Guards, commercial and industrial wealth changing England, convalescent homes for American soldiers, George Abraham Gibbs, Henry Hucks Gibbs, Lady Wraxall, Mr. Gibbs made his dibs, National Trust, OBE, Richard Gibbs, Treasurer of the Royal Household, Tyntesfield, Tyntesfield in World War II, unfashionable Victorian furniture and features, Ursula Gibbs, William Gibbs on June 18, 2013 by Claudia Suzan Carley.